Applies to: All ONTRAPORT accounts. Limited to sending to US based addresses. ONTRAPORT postcards are printed individually on digital presses and mailed via First Class mail. Usually this is very expensive, but ONTRAPORT has kept costs low. All postcards are delivered via USPS mail and most are delivered within 8-12 business days of them being ordered within your system. Note: Postcards are only available for mailing to US-based addresses, and only US-based ONTRAPORT accounts have the option enabled by default. 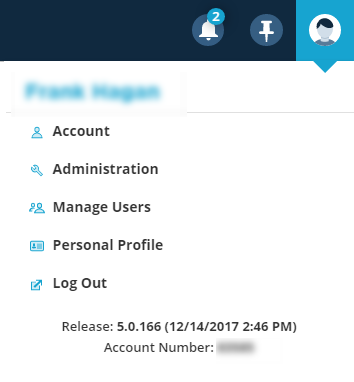 If you want to market to US-based addresses and your company is not located in the US, please contact Support to have the option enabled. Note: Printing Credits cannot be refunded or applied to other account charges. Please purchase only the amount you need. 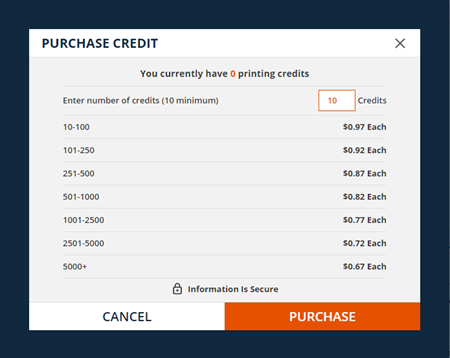 If you run out of printing credits, ONTRAPORT will automatically add new print credits and bill your card on file in batches of ten credits. This is to prevent delays in sending postcards. 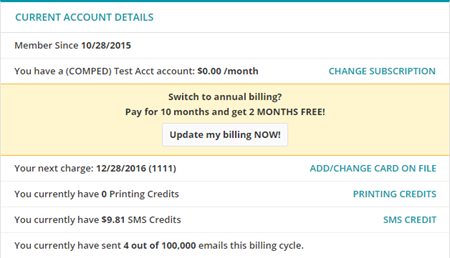 There are no refunds of unused print credits,, so we do not add more than ten credits at a time to your account. If you know you will be sending more than 100 postcards it is less expensive to purchase the print credits in advance.